A "Repeal Mobile" will start touring the country today to get students ready for the referendum. The two week roadshow, organised by the Union of Students in Ireland, will begin at Maynooth University as part of the campaign for a Yes vote on May 25th. 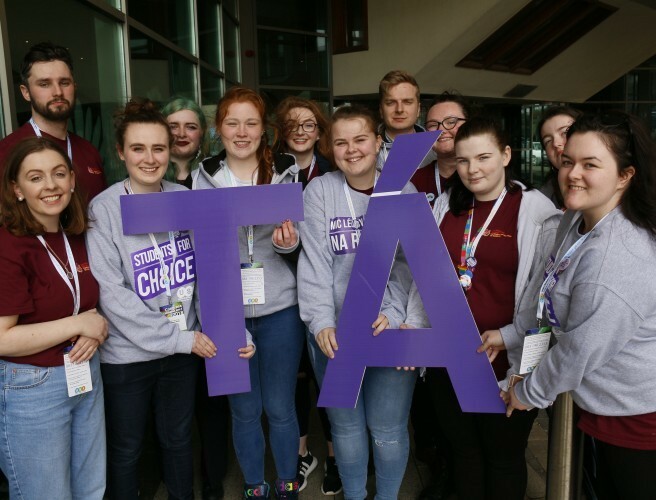 The USI - which is behind the Students for Choice campaign - says the Repeal Mobile will visit campuses across the country to educate and inform students about the effect the Eighth Amendment has had on Irish people. USI President Michael Kerrigan said: “Students have campaigned for abortion rights for decades, and we’re not stopping now. The USI is one of the dozens of civil society groups that have joined the Together For Yes campaign.